TIF TALKS BOOKS: SAS-SAF: Gift THESE Books! Day 2 of Share a Story, Shape a Future brings more writing prompts along with great articles. I had a difficult time deciding which prompt to write about today, but I ultimately ended up choosing the question below because I have been gifting many a book these days with friends having babies and birthday parties galore! If you were asked to create a package of 5 books to gift to a child, what books would you include in your gift? Include one book for each year (infant to 5). This question really doesn't lend to a lot of long writing. I'm going to just stick to a list. I like my lists! But, before I begin, I must put in a disclaimer here: I do not necessarily recommend just these books! I had such a hard time narrowing it down, but alas . . . for the sake of the list . . .
You can find this book in a variety of formats, but for the very the wee-small child, I recommend the fabric book . . . the one that is soft, that has the baby bird that you can move from page to page, and at the end, slide right underneath the mama's wing. So very precious! This next book was gifted to my son around the age of two by his great grandparents. I had never seen the book before, but immediately fell in love with it. In fact, we all did!! 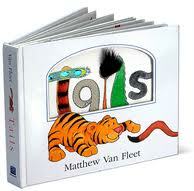 It's an interactive book with flaps, touch and feel, movement, and brilliant artwork. And, did I mention that it even has a bit of stinky scratch and sniff?!? Perfect for the 2-year-old discovering the world around them! As my children have gotten older, then begin to appreciate the details of pictures more and more. They love to "spot" all the different objects and point them out to me while reading the story, or narrate the actions themselves as they discover all that is going on. With this selection, you can begin to focus in on the details, with beautiful illustrations and lots of fun action to make up stories of your own! 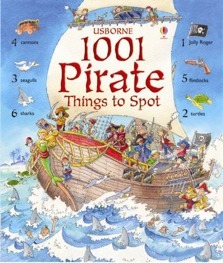 Now that a child can spot the details of pictures as well as have the cognitive ability to begin building their knowledge about details, you will find that this book is a perfect addition to a child's shelf. Not only are basic facts about this unique reptile shared, but the book also explores the topics of foreshadowing through the artwork and even emotional intelligence through the act of pretend play. I cannot end this post without mentioning Mo Willems, one of THE most brilliant children's authors that is written with a humor that an adult is willing to read over and over and over again! Though I feature this particular book, all Elephant and Piggie books are great for the pre-readers and early readers. You take Elephant, your child take Piggie, and then read the book together! Then, switch characters and try it again! I dare you to share one of these gifts with the children in your lives today or at one of the next big events! Final Disclaimer: Every single one of these books mentioned are a part of our own personal library for us to continue to enjoy again and again and again! And, we do!! I'll take that dare! Are You My Mother? was the first book my daughter received as a gift. 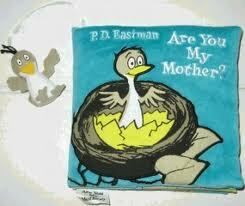 It is a well-worn, well-chewed board book that sits on my shelf of "extra special" stories in my office. We are an adoptive family, and it has an extra lovely bonus message for us! 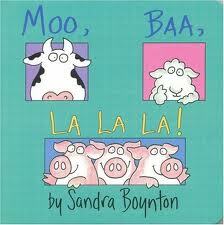 I loved Sandra Boynton when my daughter was little. We never had Tails, but I did give it to someone as a gift. Tails is actually the first book that Z chose for himself when he was 2 or 3. It's a great book and will always be special to us! Love your list! I also have a Sandra Boynton book and an Elephant and Piggie book on my list. Two favorite authors at my house! Terry Doherty . . . Isn't that one great?!? I still have my very well worn copy in storage, but had to buy multiple versions for my kids that were new. I knew they would get plenty of wear over the years! Kristen M. . . . Have you seen the new ones out by the author? They are just as cute!! Someday I will own them all . . . someday!! Kerry Aradhya . . . You can't really go wrong with Boynton and Willems! I love every one I've read!